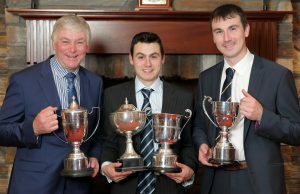 Friday 13th saw the annual Northern Ireland Hereford Association Dinner and awards ceremony take place at the Dunsilly Hotel in Antrim. With over 70 in attendance it proved to be one of the best supported evenings to date. 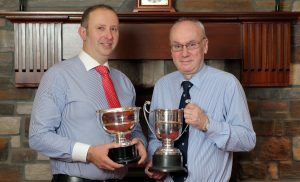 Special guests on the night where the retiring secretary David Prothero and the new Hereford Society’s first Chief executive James Sage and a representative front the Children’s Heartbeat trust who was awarded a cheque on the evening for £3421. 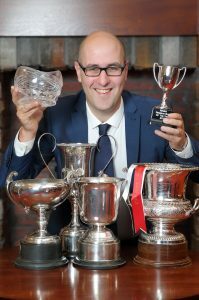 James who joins from organic certifiers, The Soil Association said “I’m very much looking forward to joining the Society and working with the team at Hereford House, the Council and the breeders who are the heart of the breed. This is an exciting era within UK and global agriculture and I believe there will be a prominent role for the Hereford to play in post Brexit UK agriculture. 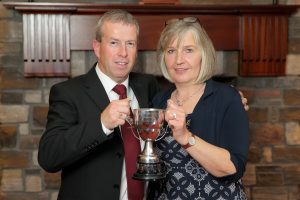 Capitalising on the breed’s many wonderful attributes to further develop sustainable profitable systems for farmers.” He also wants to work closely with the Northern Ireland breeders as they have the best percentage in the U.K of providing breeding Bulls into the dairy sector. 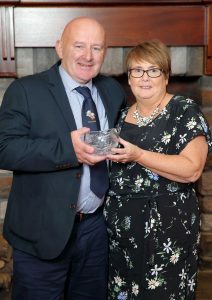 Retiring secretary David Prothero spoke fondly of his time over the last 40 years as he received a large Belfast Crystal vase from the NI association in appreciation for his dedication to the society. He recalled memories from great friendships with longstanding members such as Ivan Haire and John McMordie. He also wished the new Chief executive great success in his new role. Awards on the evening where presented by David Prothero before the band played into the small hours. 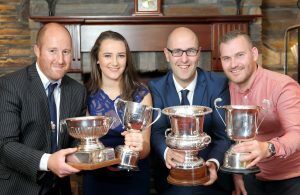 Bull of the year went to Ciaran Kerrs Mullaghdoopoll 1 Elite and the Female of the year to Courtney Halliday’s Corraback Joan 15th, with the overall Herd of the year being won yet again by J&W McMordie to name but a few. 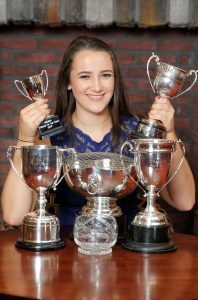 Courtney Halliday fron Annaghmore with her awards at the Hereford Society annual dinner. Committee members at the Hereford Society annual dinner. The Kerr family from Lurgan. 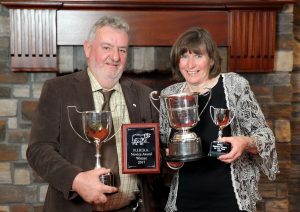 Heather and Robert Murdock from Newry with their awards at the Hereford Society annual dinner. 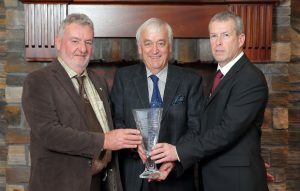 John, William and Andrew McMordie from Ballygowan with their awards at the Hereford Society annual dinner. 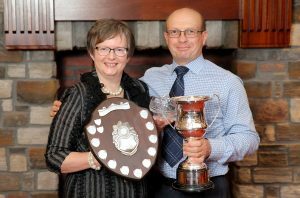 Trevor and Sheevaun Andrews from Larne with their awards at the Hereford Society annual dinner. 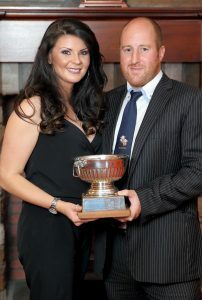 Prize winners with their awards at the Hereford Society annual dinner. 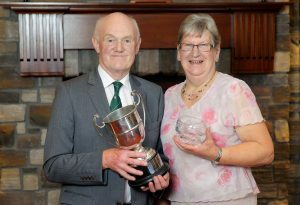 John and Agnes Gill from Killinchy with their awards at the Hereford Society annual dinner.